As a child, or even as an adult, you may have experimented with writing messages in some form of invisible ink, a substance that, through the magic of chemistry, can only be seen when exposed to heat or light. Well, imagine that the next time you go to a store, the PIN pad at the checkout counter has been replaced with what appears to be a flat blank screen, because the buttons are only visible to someone with an ultraviolet light. When you ask the cashier how you’re supposed to enter your PIN on this blank screen, she tells you not to worry; she has a UV light supplied by the store, and if you just tell her your PIN, she’ll enter it for you. Cool trick, right? That is, for all intents and purposes, the experience that blind shoppers had when they visited the Container Store and encountered flat touch screen interfaces with no tactilely discernible buttons. Even though technology for making printed text accessible to blind people is in widespread use, from audio feedback to Braille displays, the Container Store provided no such tools—it simply continued to display the text on its point-of-sale interface in the equivalent of invisible ink and expected blind customers to share their personal financial information with cashiers and anyone else in hearing range in order to complete a transaction. The National Federation of the Blind and several of its members filed suit in federal court in Massachusetts, represented by Jana Eisinger, Timothy Elder, Scott LaBarre and Jeremy Weltman. They argued that the Container Store was violating the Americans with Disabilities Act and state civil rights laws by using point-of-sale interfaces that blind customers could not access independently. And then the Container Store pulled an even bigger rabbit out of its hat: it tried to get the lawsuit thrown out of court, saying that when the NFB members who were plaintiffs in the lawsuit had signed up for its loyalty program, Perfectly Organized Perks! Or POP!, they had agreed to a list of fine-print terms that required any dispute to take place in private arbitration rather than in front of a judge or jury. Yup, you guessed it, those terms were written in invisible ink too, on the same blank-screen interface only accessible to people with the equivalent of specialized UV lights. In other words, the Container Store could give a discount to a POP! Member and then revoke the discount and charge more money to the POP! member’s payment method after the customer had already purchased the product, or could impose new limitations on POP! Members’ rights after they’ve been members of the program for years. Or one day the Container Store could simply decide that POP! 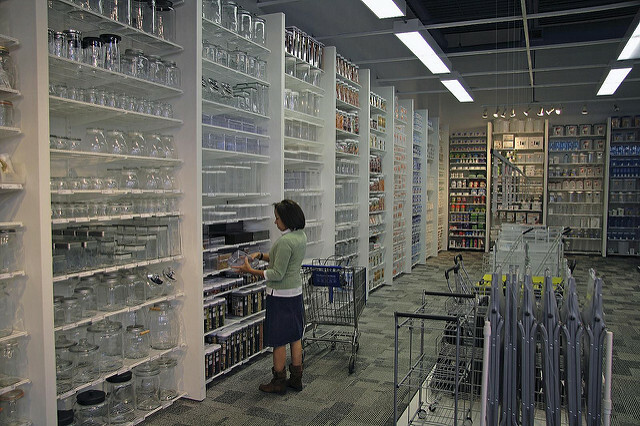 Members actually have to pay more for the Container Store’s products than everyone else. Granted, such a move probably wouldn’t be very good for business, but it would be perfectly fine under the terms of the contract. And according to the trial court, this means that the POP! Terms and Conditions aren’t a contract at all. A contract is a legally binding promise to do (or not do) something, but the Container Store isn’t promising to do anything that a customer can rely on, because according to the terms themselves, all of the Container Store’s promises can disappear in a puff of smoke whenever someone at corporate headquarters changes their mind. And when one party to an agreement can change or cancel terms without the other party having any say in the matter, or even any notice, the law calls such contracts “illusory”; while they may appear to be contracts, they have no legal force. The Container Store appealed the trial court’s ruling and last February I argued the issues to a three-judge panel of the U.S. Court of Appeals for the First Circuit. Last week, that panel unanimously affirmed the trial court on all points. It concluded that based on the evidence in the record, the NFB member plaintiffs who signed up for POP! In the store with the cashier’s assistance had “zero hint” that there were any terms and conditions associated with the program. And as for illusoriness, the First Circuit stated, “a contract that is illusory was never formed,” and so such a contract cannot be used to force any of the plaintiffs to arbitrate their claims instead of bringing them in court. Blind shoppers, like their sighted counterparts, deserve contract terms they can read and that are more than mere illusions. Hopefully the Container Store has learned from this experience and will stick to more popular magic tricks from now on, like making our clutter disappear.